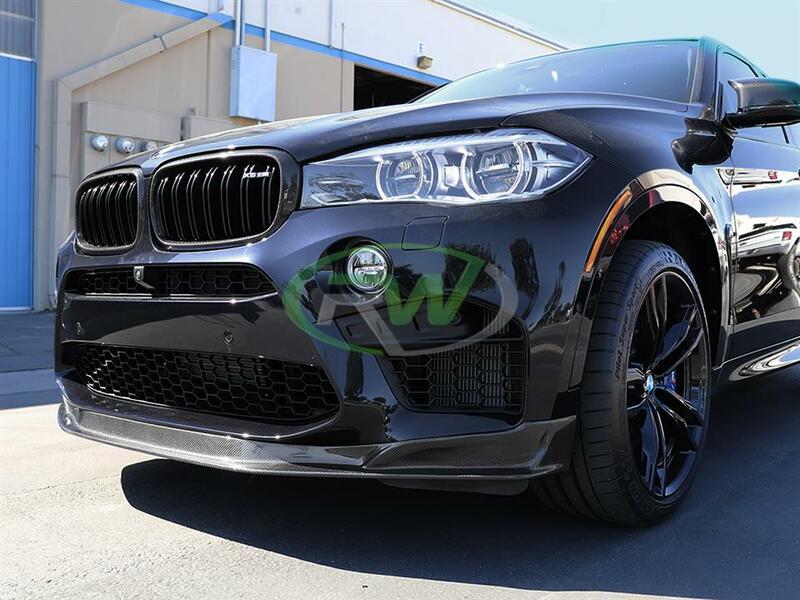 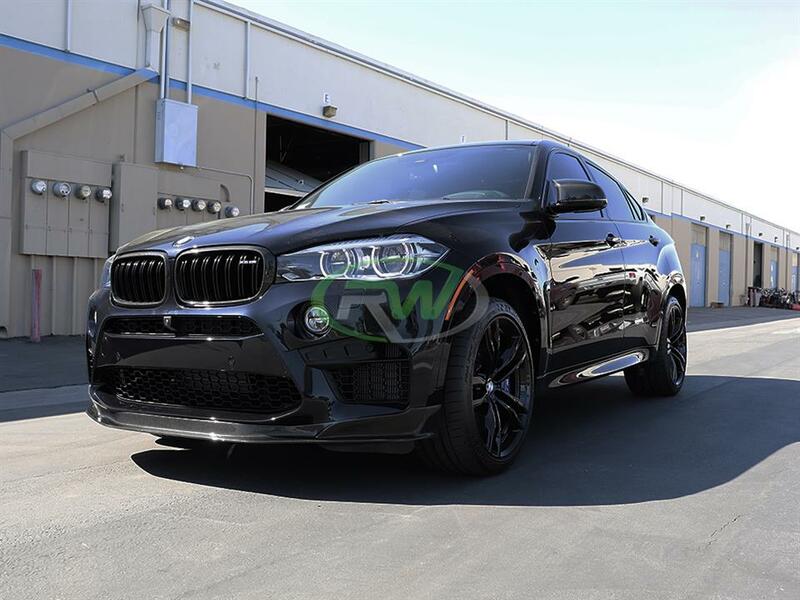 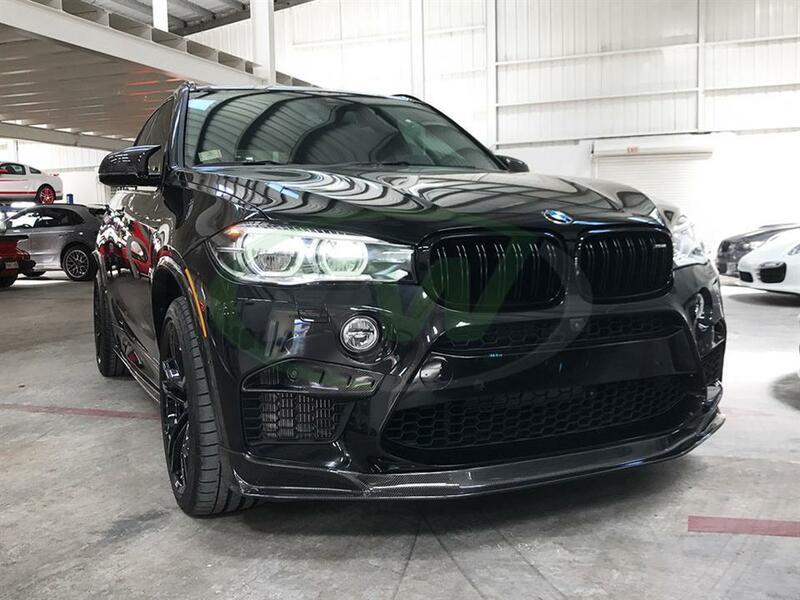 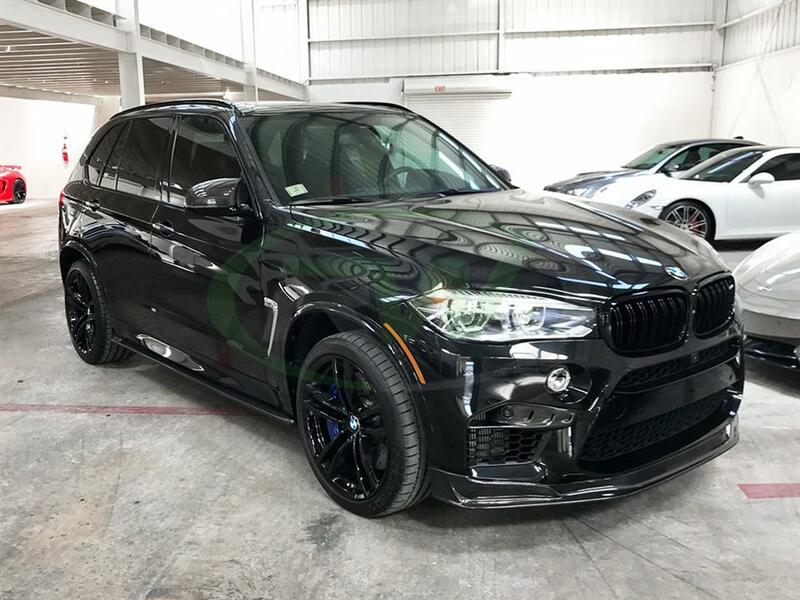 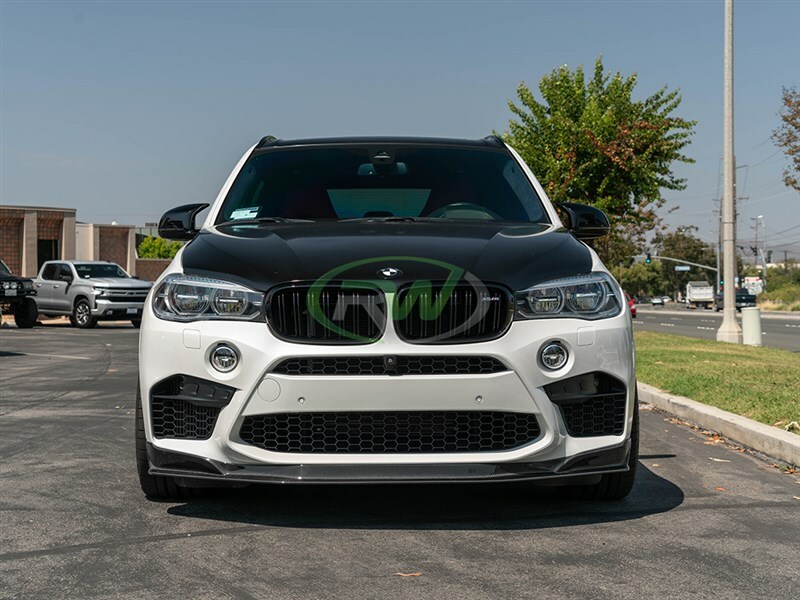 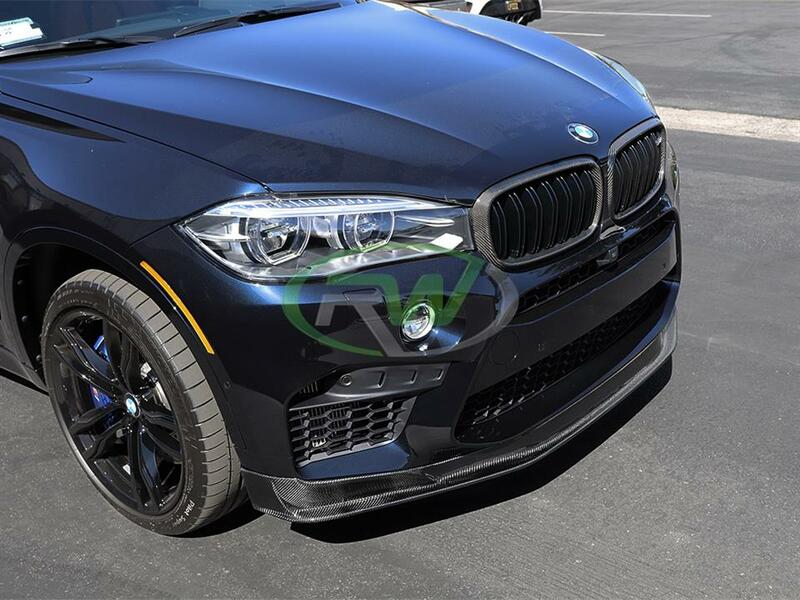 With the popularity of the new X5M and X6M and carbon fiber modifications, RW Carbon decided we needed to offer two different lip styles for these vehicles. 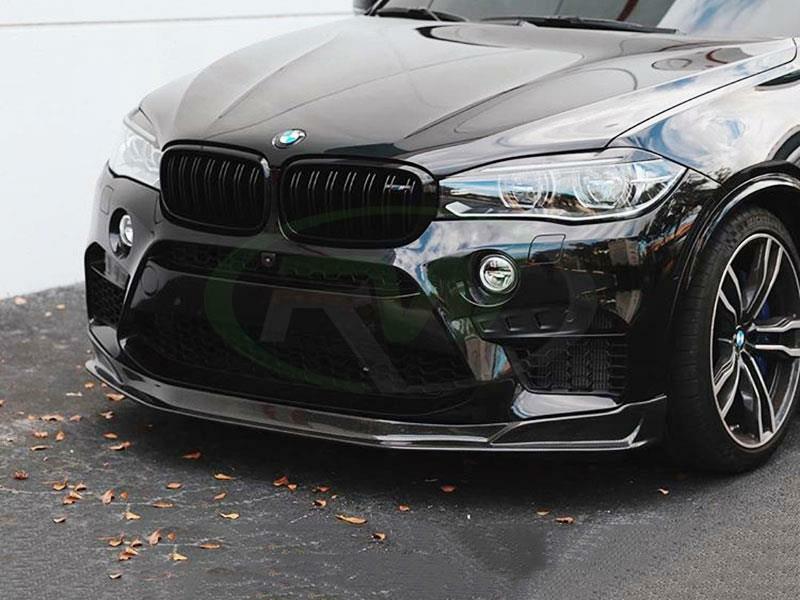 The carbon fiber lip features an aggressive front up addition, without going over the top. 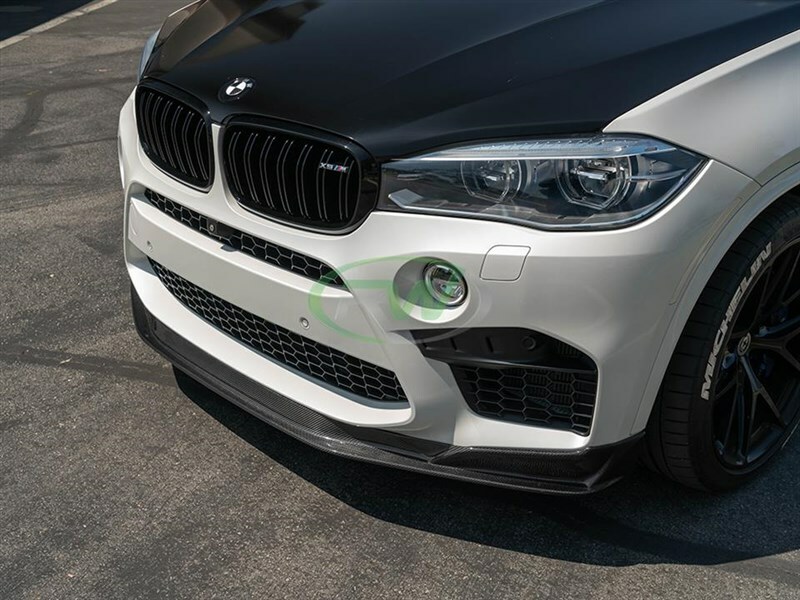 Each F85/F86 carbon fiber lip is hand crafted from genuine 2x2 carbon fiber that will perfectly match any other CF parts you have on the car. 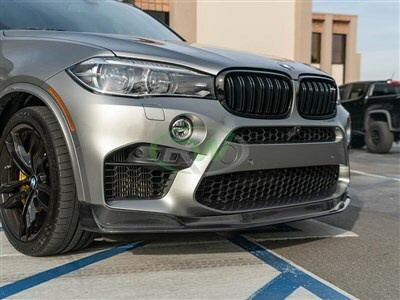 Installation is purely bolt on and does not require and special cutting or modifying of your X5M or X6M. 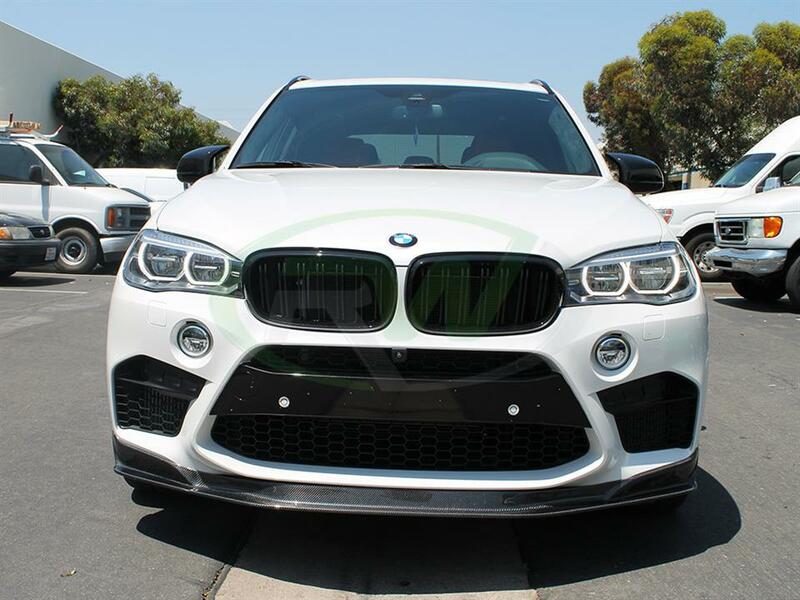 The X5M/X6M Carbon Fiber lip installs with 3M tape and self taping screws. 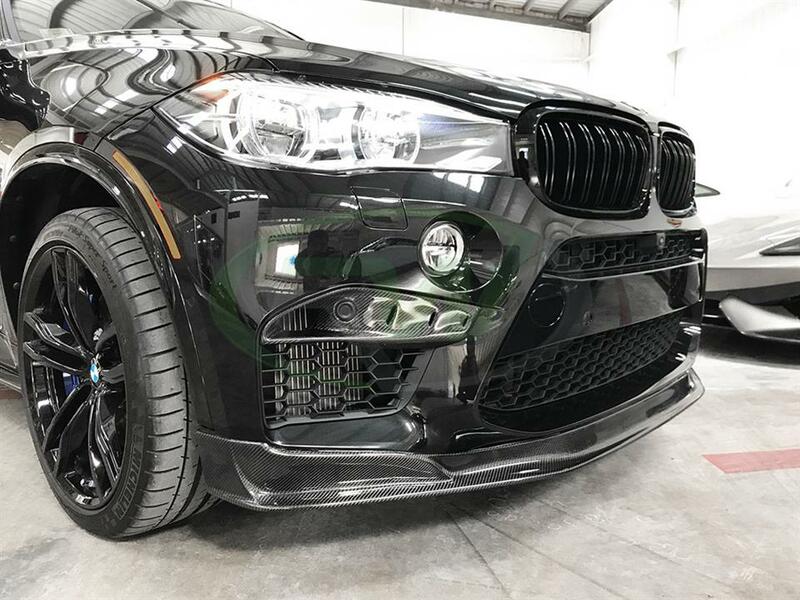 To ensure no fading or discoloration occurs with your new carbon fiber lip we complete all items with a UV resistant clearcoat. 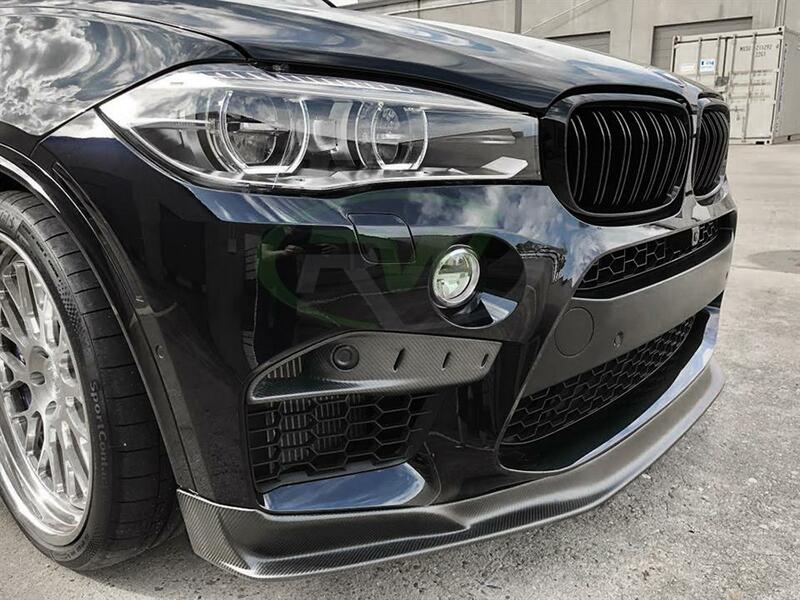 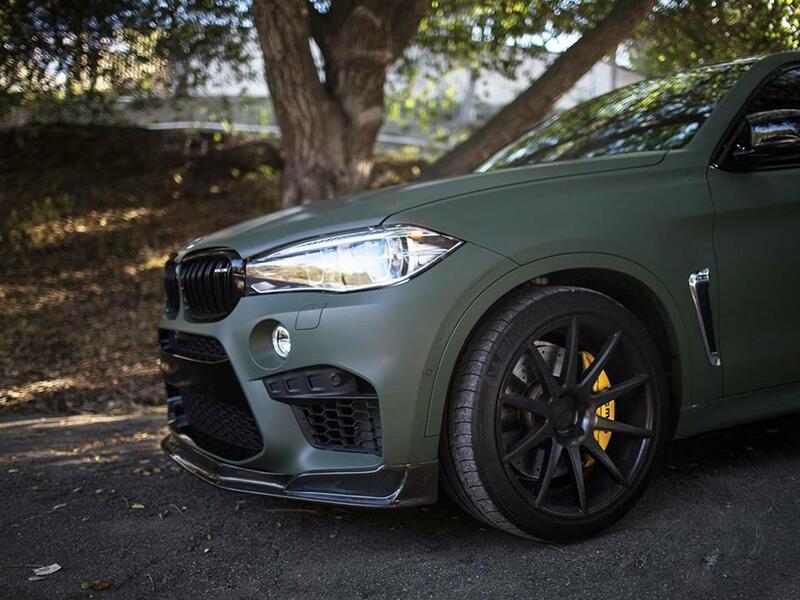 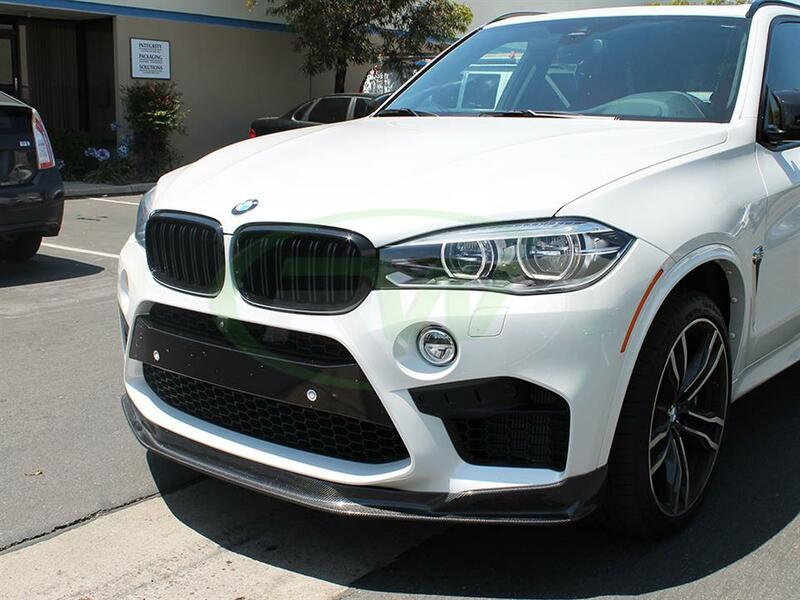 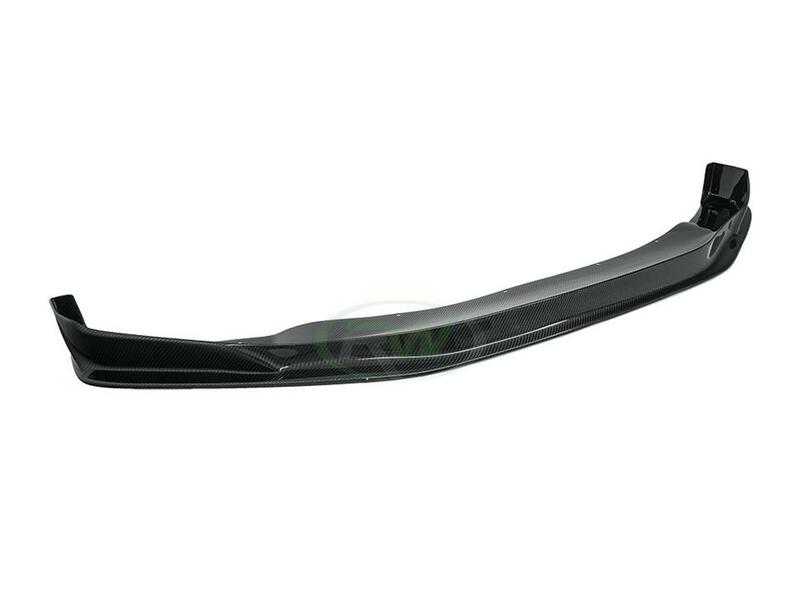 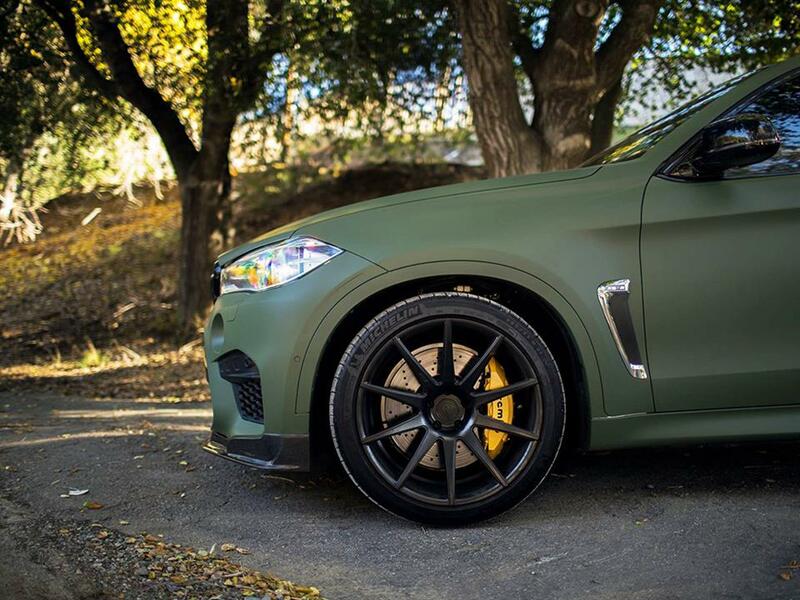 The RW Carbon F85/F86 front lip spoiler fits all 2015+ X5M and X6M applications. 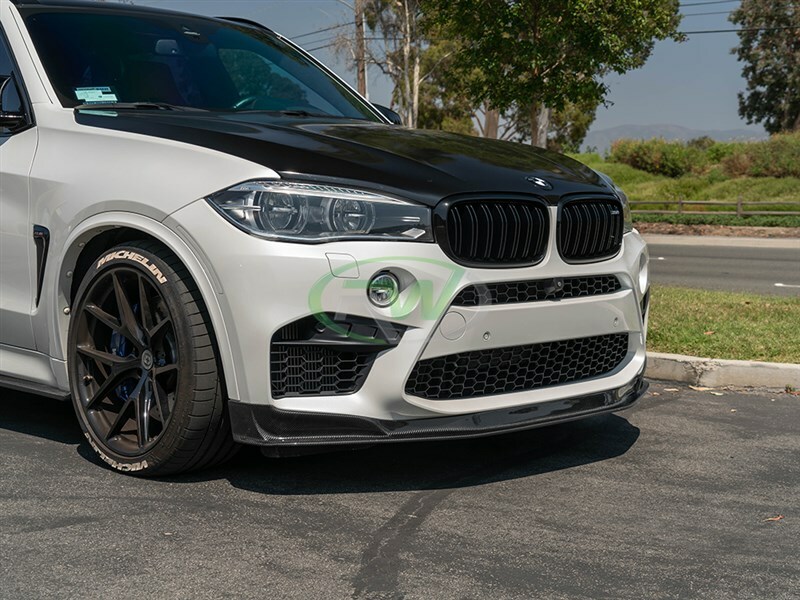 Mounting this front lip spoiler for the X5M or X6M require self taping screws. 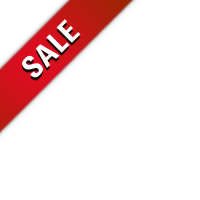 Professional installation is recommended. 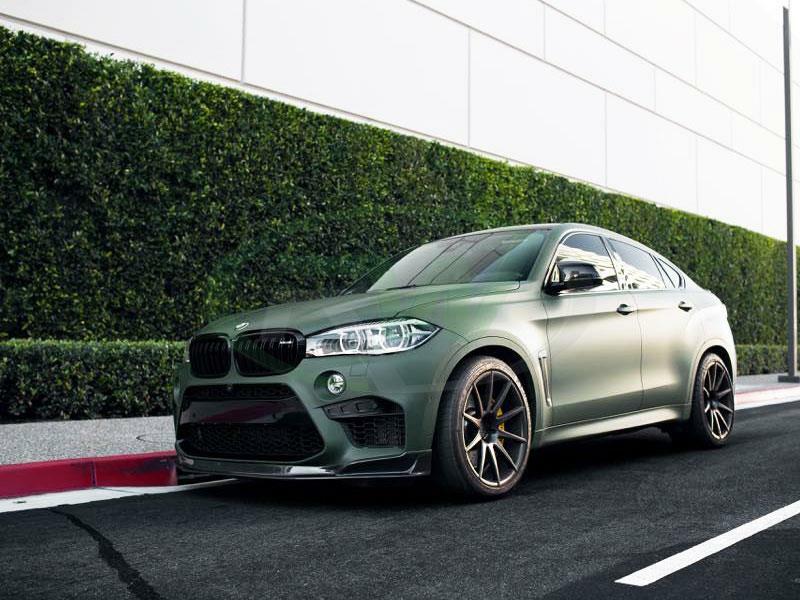 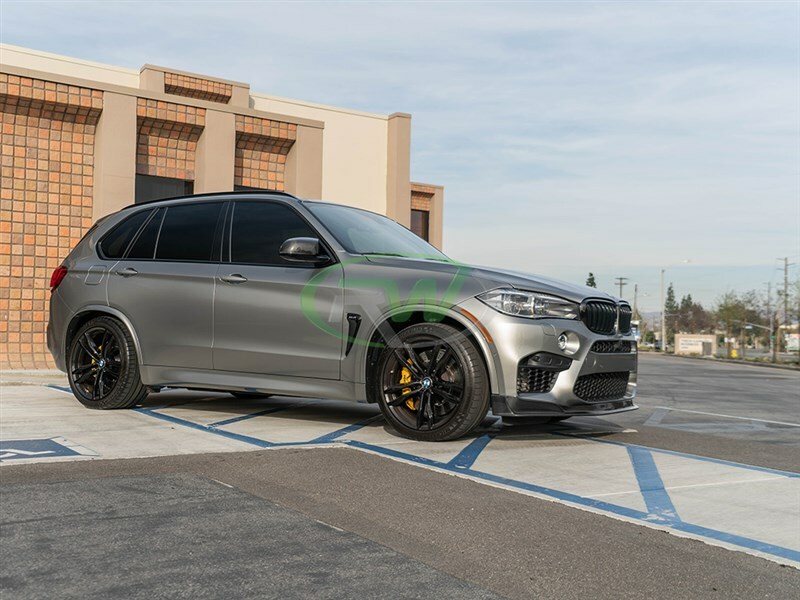 We know there are many companies out there claiming to have the best carbon fiber exterior additions for your BMW F85 X5M or F86 X6M. 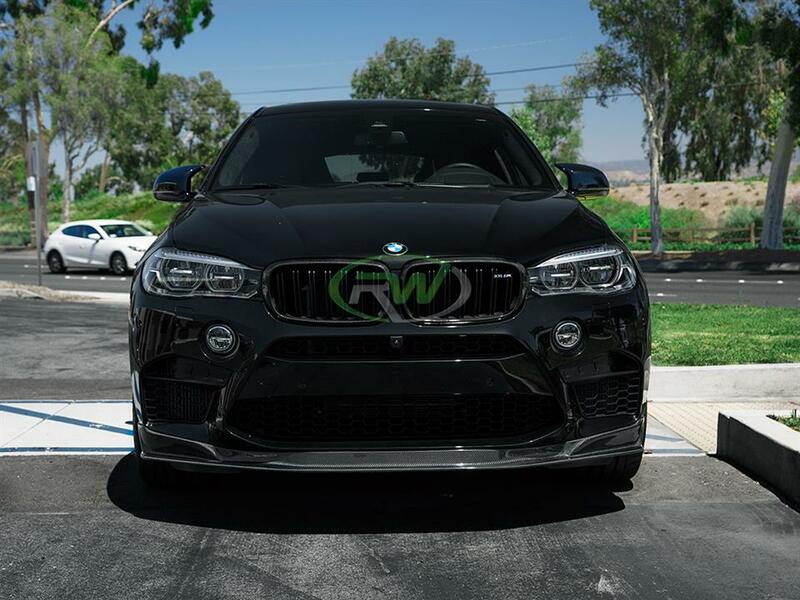 At rwcarbon.com we pride ourselves on taking the time to quality check every piece we ship out. 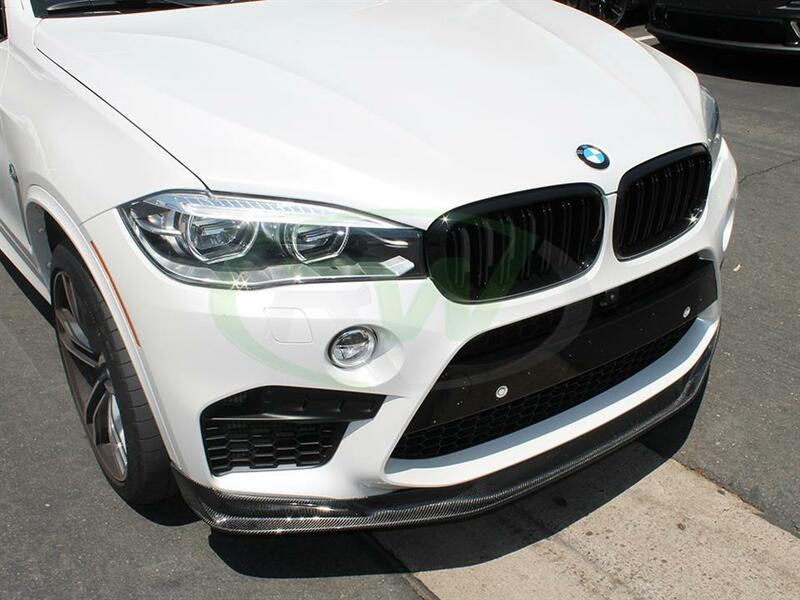 Many other competitors ship you a product that comes straight from overseas - without taking the time to check it. 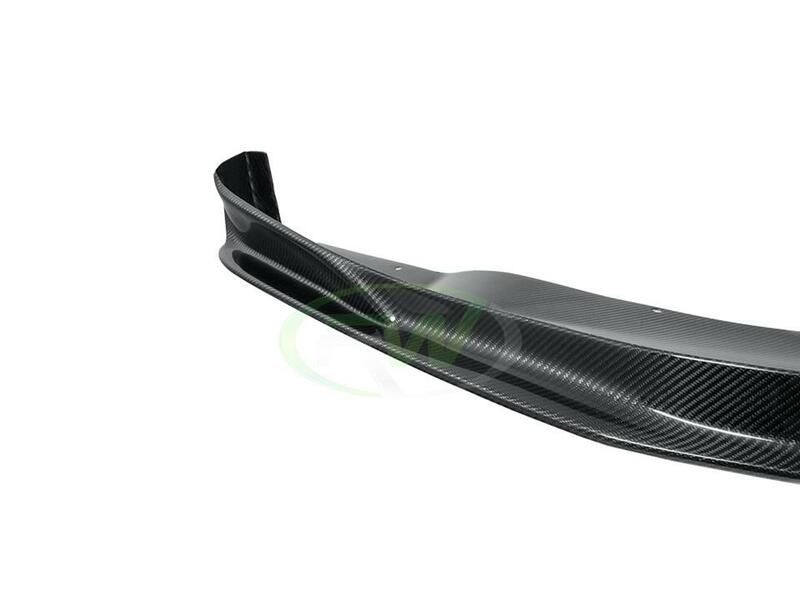 If you order one of these parts you could receive a part that is damaged, has scratches in the clear coat, or possesses overall poor carbon fiber construction. 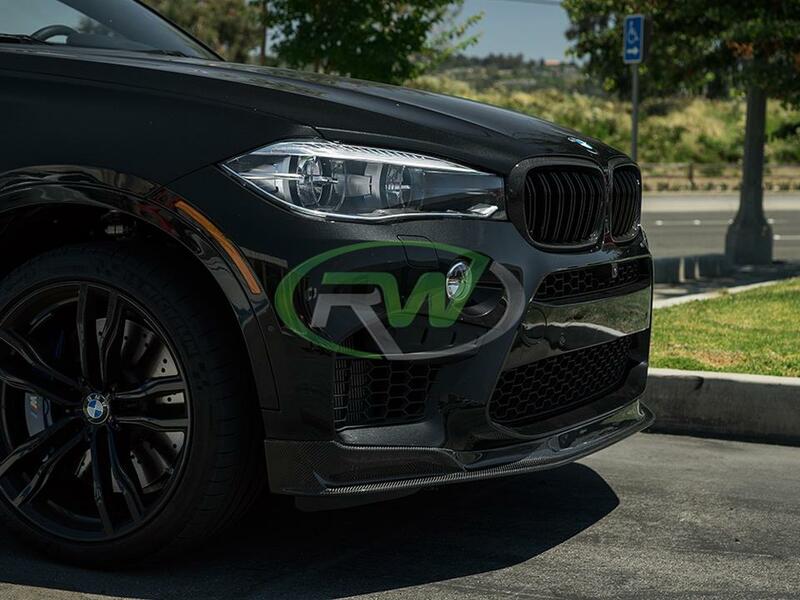 By choosing RW Carbon we make the promise to deliver you a consistent, quality product that is shipped from our Southern California location - the first and every subsequent time you order from us. 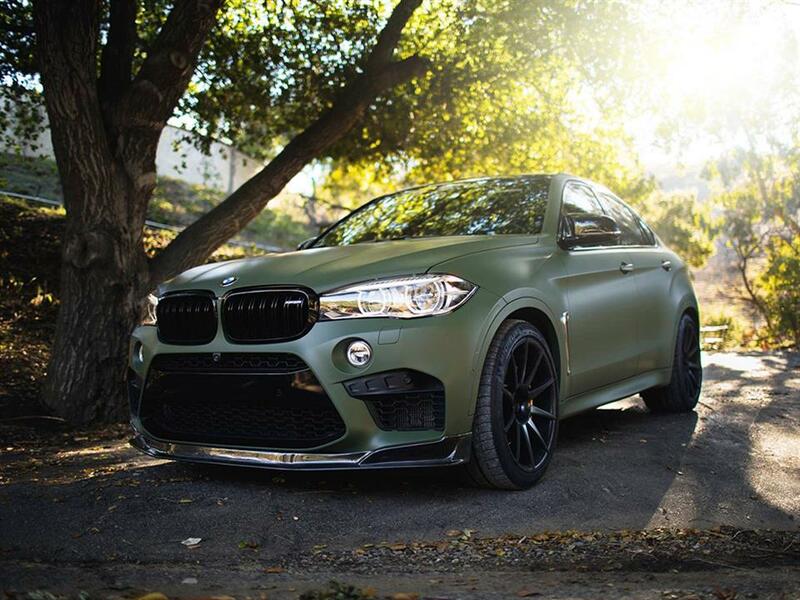 One Goal, One Focus - Carbon Fiber. Picked up this lip spoiler for my X5M a few weeks back. 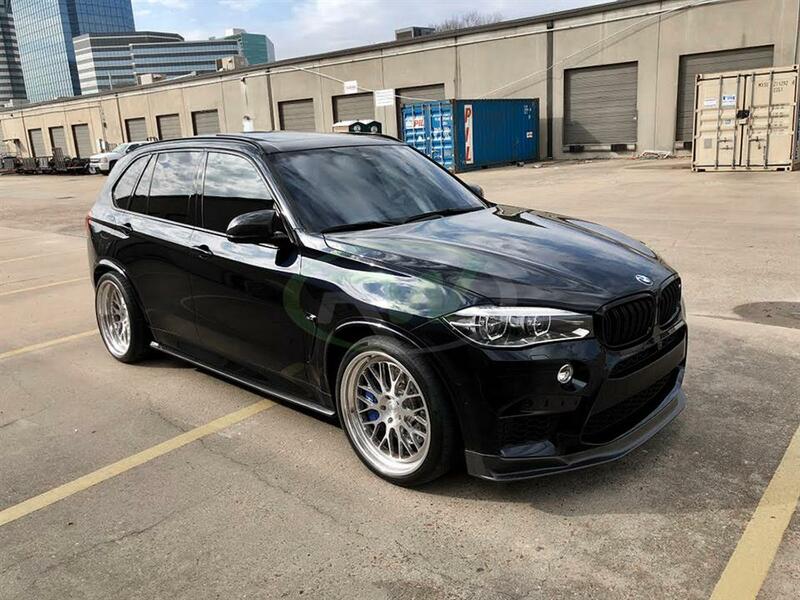 Last weekend I was finally able to get it installed and I really love the new look. 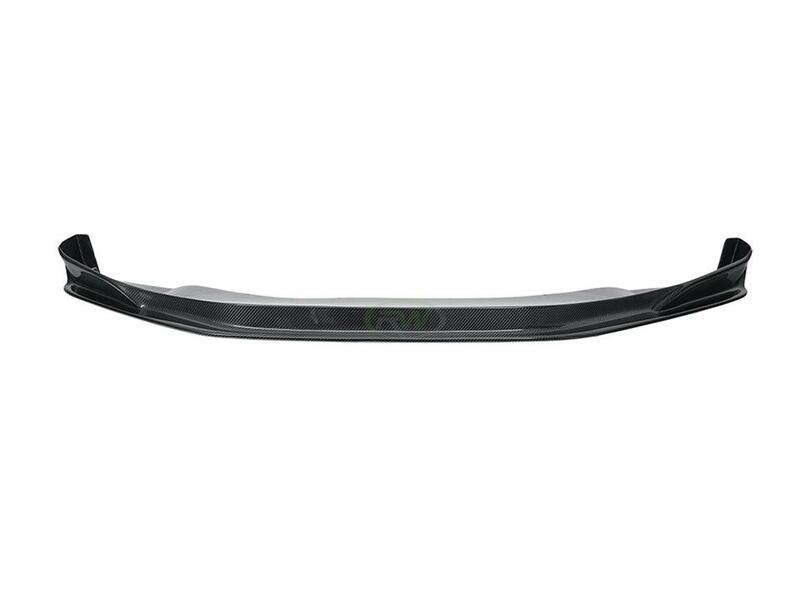 The fitment is 99% perfect and the quality really seems top notch.